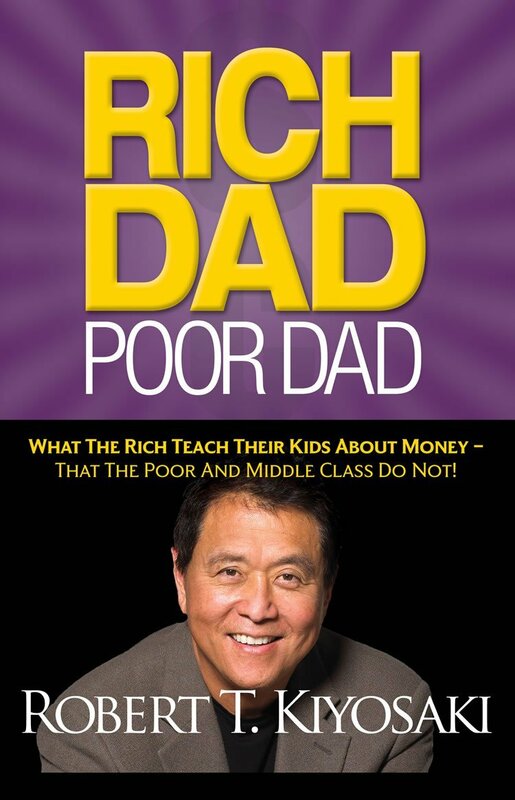 Book Review: Rich Dad, Poor Dad | Passive Income M.D. When I first discovered Rich Dad, Poor Dad, I was well into the last year of my residency. I couldn’t put it down, and I’m not exaggerating when I say that it completely changed my life. It was also probably the first non-medical book I had read since I was introduced to the works of Malcolm Gladwell during medical school. The ideas presented in Rich Dad, Poor Dad aren’t particularly profound or fancy, but the concepts were entirely new to me. This is especially true of how the book taught me to think of money not as an end-goal, but as a tool for wealth creation. Up until that point, I had thought that all I needed to do was to find the right job and I’d be set. After all, this was exactly the way I’d thought about getting into the right medical school, the right residency, and the right fellowship (haha). Financial education is a key to success. Assets are things that produce cash-flow. You become wealthy by accumulating assets. Wealth comes from having enough assets, which generate enough income to cover all of your expenses. That way, there is enough left over to invest in more assets. A common criticism of this book is that while it is inspiring, by the time you reach the end of the book, you have no idea what the first step is. That’s actually fine with me. I believe everything starts with inspiration. What separates those that are successful from those that are not is that the successful people take that inspiration—and then they act on it. They do not let fear and never-ending analysis paralyze them (Kiyosaki calls this “analysis paralysis”). This book awakened in me an almost insatiable appetite for financial books. Soon after reading it, I found myself tearing through book after book on personal finance, learning and absorbing all that I possibly could. As a result, I learned so much more than I would have otherwise. If nothing else, that alone is worth the price of the book. Have you read this book yourself? I’d love to hear what your thought of it! Shoot me an email or leave a comment. I also had an epiphany reading this book. However it tied in with reading lots of ‘we make do farming on 5 acres’ books and researching Kiyosaki’s further work. It soon seemed to me the way to make a living farming (and maybe also finance) is to write and sell books about it, and K’s further career was convincing others to try for real estate deals a la him and Trump (ok not quite), and any such career would be beyond my likely abilities or interests. It also motivated me not to rely on social security or even medicine for that matter. So I’ll always be grateful as well. It also taught me to focus on cash flow – if your cash flow from investments exceeds your monthly expenses, you’re done. Much easier math in my opinion. So when are you retiring? Always a great great pleasure to meet a fellow Rich Dad Poor Dad reader! I read it when I was 13 years old and boy am I glad I did. Since that tender young age, the important of investing and building assets was deeply ingrained in my mind. Just like in your case, though the book didn’t give concrete action steps, it set me off on a 13 year saga which involved me reading tons of books, attending several different seminars and investing over $5k in my financial education. I am now at a stage where my investable assets are at a pretty good number for my age (28) and I have a monthly cashflow stream other than my job. Wow, I wish I had read it a little earlier in life, but hey better late than never. I agree, it’s all about multiple income streams and I’ve made that a goal of mine as well. Not sure about the commodities though. Leuk dat je zelf ook al bent begonnen met investeren, ik zou wel opletten met de huizenmarkt hier omdat je in België veel meer rechten hebt als huurder dan in Amerika, wat het verhuren van huizen hier wel eens heel moeilijk kan maken. Mij lijkt het in verband met de huurwet in België makkelijker en veiliger om aandelen te kopen dan huizen te verhuren, aangezien je bij de aandelenmarkt minder last hebt van eventuele juridische problemen. Ik hoor ook vaak dat mensen oneens zijn met de auteur zijn stelling dat uw eigen woning een passivum is, maar waarom zou het een activum zijn ? Je bent er toch elke maand geld aan kwijt ? Thank God for google translate! There are also certain states that are more tenant-friendly which makes it a little less desirable to be a landlord. I happen to live in one of those states. I’ve actually never thought of how it is in other countries because I haven’t considered investing overseas. But who knows, that might change. Thanks for reading across the ocean! I’ve read this book last years and I have to say that it does offer so many good, common sense things when it comes creating your financial plans for the future. But it’s not best suited for everyone – because author is talking about how you can invest on the side if you’re already making good income and want to start saving and investing that money. If you are someone who have good monthly income and can save part of your income, than you might find this books very useful. If you’re someone who is not making enough and you have struggles on paying everything on time then, I have to say that this book will not help you on creating better income if you don’t have one. The book is mostly oriented toward creating wealth through investing in stocks, bonds, real-estates or any other asset that will “make money work for your” – as the motto of this book is. I am completely blown away at the simplicity and the genius that this book contains. I was 20 years old, newly married with 45k of dumb consumer debt. I was making about 3800 monthly after taxes where I worked. I read this book and afterwards took out a loan for a investment of a 30% sleeping partnership for a gym my friend started. The gym started doing very well and I started making about 3500 average a month from this completely passively and I used all my earnings to pay down my debt. Over the next 2 years I purchased 2 ATMs which have been making me between 400 and 1k monthly. I am now 22 years old, I only have 4k of debt left and am making between 8 and 11k a month. My future is incredibly great due to this book. Highly recommended for anyone at any age.